It’s the bijou ship that filled the space left in Her Majesty The Queen’s heart by Royal Yacht Britannia, but what makes Hebridean Princess so special? Rebecca Martin spent a week cruising Scotland’s Highlands and islands to find out. Hebridean Princess was once earmarked as an ocean-going hideaway for the Scottish government, intended to whisk away the ‘very important people’ in case of a nuclear war. Fortunately, it was never required to serve such a purpose, instead living a more utilitarian life as a car ferry from 1969. Not very James Bond, but a necessity around these remote parts of western Scotland. 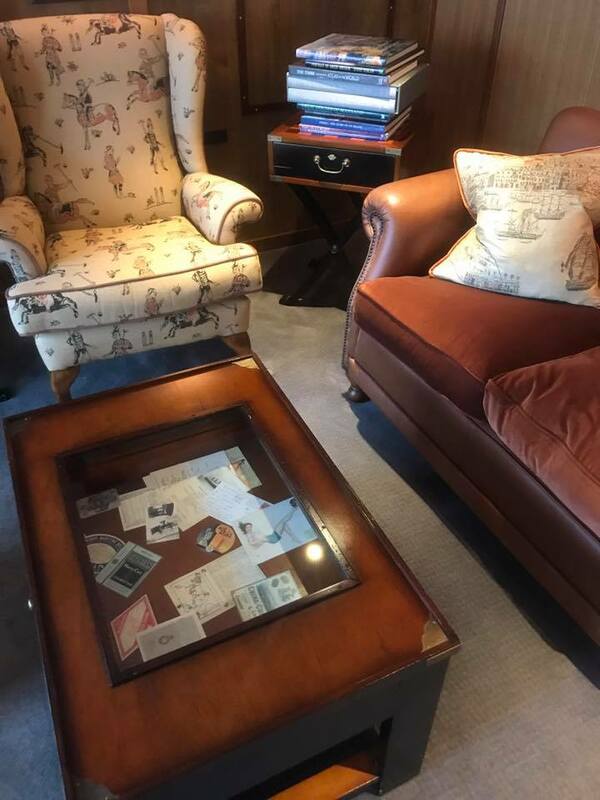 Then, more than 20 years ago, it underwent the extensive, extravagant transformation that would turn it into the Hebridean Princess that myself and 45 more guests were to call home for the first week of October. Hebridean Princess isn’t the first cruise ship to be described as a floating country house but this tiny vessel takes the comparison a step further. Whilst there is a distinct lack of sprawling gardens usually associated with such estates, it ticks all the other boxes. My cabin for the week, the Isle of Coll, could certainly be classed as stately. 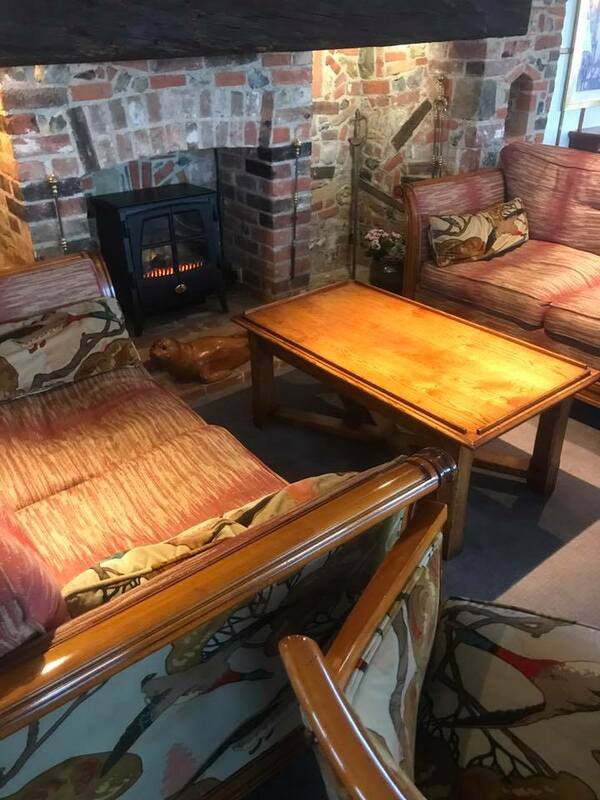 The country pursuit themed upholstery and flickering fire in the Tiree Lounge wouldn’t look out of place in a Scottish castle, along with the exposed brickwork, inglenook fireplace and wood beams. If it wasn’t for the islands and islets passing by the window, with the odd appearance from dolphins, seals and seabirds, you could quite easily think you were squirrelled away in a stately home in the Scottish Highlands. Only the scenery changes here. Each morning of our ‘Flavours of Scotland’ itinerary brought a new coastline or island into view, the hours in between filled with ever-changing landscapes as we cruised through lochs and sailed the Sounds. If you have long held hopes of visiting Scotland and its islands, this is the way to do it. From the moment I embarked Hebridean Princess in the Victorian fishing town of Oban, it was a case of ‘so far, so Scottish’. 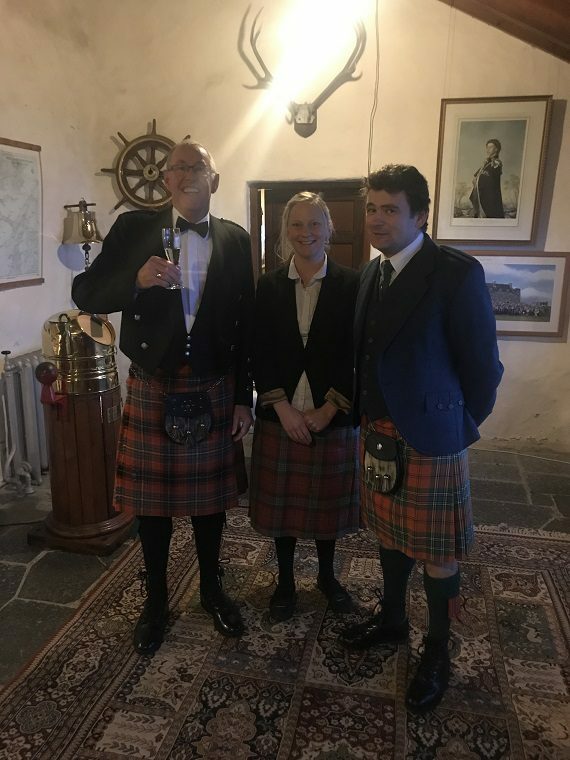 The sound of bagpipes rang out from the Skye Deck as we were welcomed aboard individually, welcome drinks served in the tartan and tweed-clad Tiree Lounge. The decanter of whisky in my cabin was a sign of more to come; from whisky distillery tours to hot toddies after trips ashore and even a wee dram in your morning porridge should you want it, I’m 97% sure the ship runs on the stuff. If the whisky were to run out, the crew have what it takes to keep things simmering along nicely. From Sven’s service with a smile at mealtimes and tour guide Rita’s encyclopaedic knowledge of the isles, to Egon’s quick wit and ‘calorie-free, the more you eat the slimmer you get’ biscuits after breakfast and Chief Purser David’s nightly stories, tongue in cheek crowd pleasers that made me wonder why we ever replaced late-night storytelling with more raucous entertainment; they are all part and parcel of the Hebridean Princess experience. 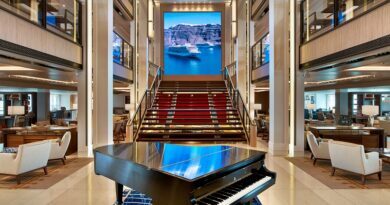 One wouldn’t work without the other, the cosy surroundings of the ship brought to life by the staff of 38 who run it. By the end of the week, they felt like family. The sound of Loch Torridon lapping the coast was all that broke the silence in the Highland village of Shieldaig, the gateway to one of Scotland’s greatest wildernesses. The fishing village sits serene where the Torridon mountains meet the seas. The toy town of Tobermory welcomes you to the Isle of Mull, where our tour of Scottish flavours took us to the Isle of Mull Cheese Farm. A family affair complete with inquisitive calves and samples aplenty in the garden café. The coastlines are a window to Scotland’s soul. Washed silver in the autumn sun or cast in clouds dark and stormy. Mountains and crags, beaches and fields, flecked with whitewashed cottages with a killer view. Our pursuit of the flavours of Scotland took us to The Three Chimneys, 1887 at The Torridon and The Isle of Eriska Hotel. Skye lamb, Wester Ross salmon, Mallaig hake and Dunvegan crab were all on the menu. The Isle of Islay brought us the Bruichladdich Distillery, strong with the smell of barley, its shelves lined with liquor. With evening came Colonsay oysters and honey. 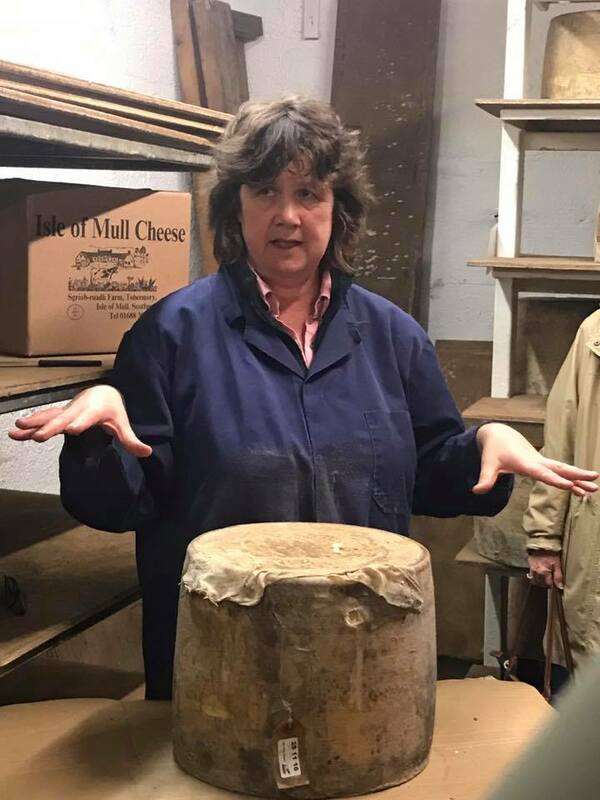 Days later, on the Isle of Mull, we stood surrounded by artisan farmhouse cheese. The lochs of the western isles are still scattered with the island castles of the Clans. Eilean Donan, Dunvegan and Duart Castle extended welcomes far more regal than those received by their invaders in years gone by. Otters and eagles eluded us but there were dogs by the water and dolphins by the bow, Highland cows in the fields and calves on the farm. And that one cat, inquisitive and clumsy in the garden café. Hebridean Princess was a home from home, a floating country house clad in tartan and tweed. When Scottish winds blew outside, a sofa beside the fire was a sanctuary, a brew in hand and the day’s crossword in mind. My fellow guest, Celia, has spent 17 years trying to find fault with the crew and with Hebridean Princess in general. Nineteen cruises later, she’s still trying. “I came on board for the very first time after my husband passed away 17 years ago and I was terrified. I expected to spend my time alone, see some of the islands and just travel a little, but Charles took me under his wing and it felt like coming home,” she told me after dinner one evening. She hasn’t found it yet and I have a sneaky suspicion she comes back simply because she loves it. She’s welcomed aboard with the same sort of warmth and respect one expects Her Majesty The Queen received on the two occasions she holidayed on Hebridean Princess. The crew love her. There’s no handshake on arrival from Captain Richard Heaton, but a hug instead. Egon is as attentive towards her as you suspect he is with his own grandmother, escorting her ashore in his tartan flat cap and keeping her glass topped up in the Tiree Lounge. Sven, Louise and Valeria in the dining room know it is warm milk with coffee at breakfast, champagne only before dinner and nothing but French wine at mealtimes. Celia is one of their own. Hebridean Princess is perfect for solo travellers like Celia. It’s impossible to lose yourself on the pint-sized ship and the crew are as attentive as any I’ve ever come across. There’s a convivial atmosphere between guests, conversation coming easy in the Tiree Lounge and over dinner in the Columba restaurant, where the singles shared tables of eight. 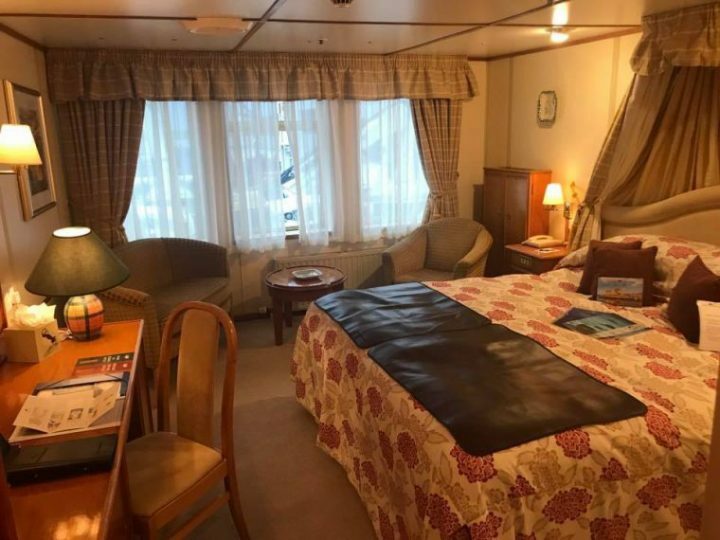 When I embarked, housekeeper Fiona had compared the Hebridean Princess experience to ‘a house party’ and I couldn’t have put it better myself. The cruise line has an incredible return guest record and there was only a handful of us who hadn’t holidayed with Hebridean Island Cruises before. 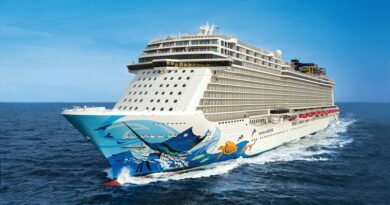 It meant that familiar faces shared stories about cruises past, from revelations about whether they had been a stroller or a walker on the Footloose cruises, to tales of seal safaris in the speedboat and whale watching from the bow. Hebridean Princess keeps them coming back for more. 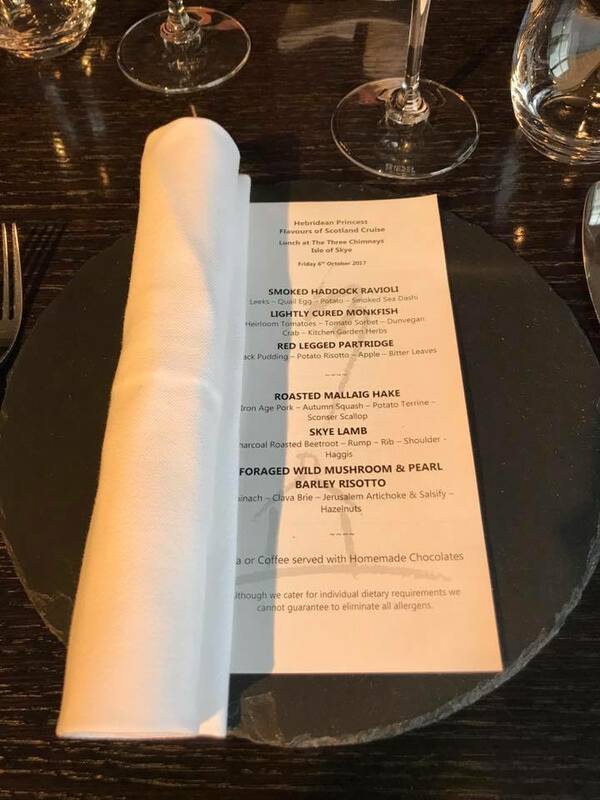 The Three Chimneys, 1887 at The Torridon and the Isle of Eriska Hotel have all held Michelin stars in their time and they became a marker against which to measure the service and cuisine on Hebridean Princess. While the crockery was simpler and the décor humbler, the ship’s Columba Restaurant met the mark in every way. In fact, as we waited an age for wine and water at the Three Chimneys, where reservations must be made months in advance, I couldn’t help but think that our glasses had never found themselves empty on the ship. 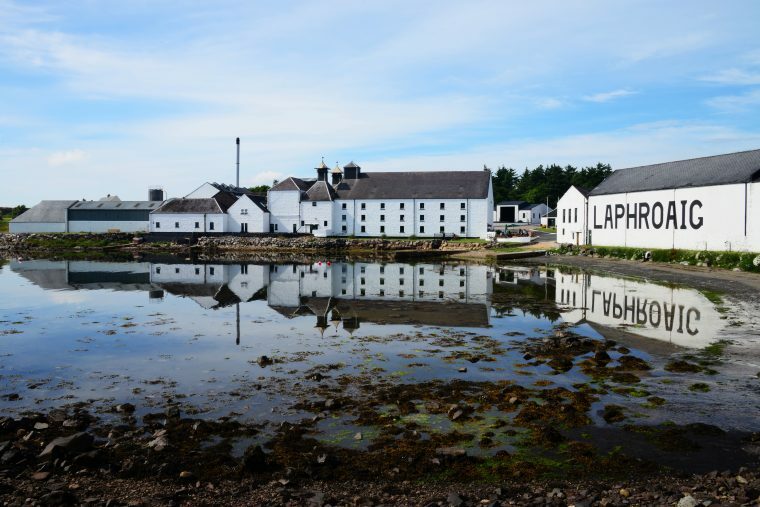 Our taste test of Scotland’s finest flavours saw us enjoy a liquid lunch at the Bruichladdich Distillery on the Isle of Islay and meet the beekeeper behind the honey used at breakfast in the tiny village of Scalasaig on Colonsay. He helps out with the oysters on board too, switching between the two on a rotation governed by the Scottish seasons. We visited the Isle of Mull Cheese Farm for a private tour and plenty of samples, the farm’s sweet young calves prompting most to shun the veal option at dinner that night. 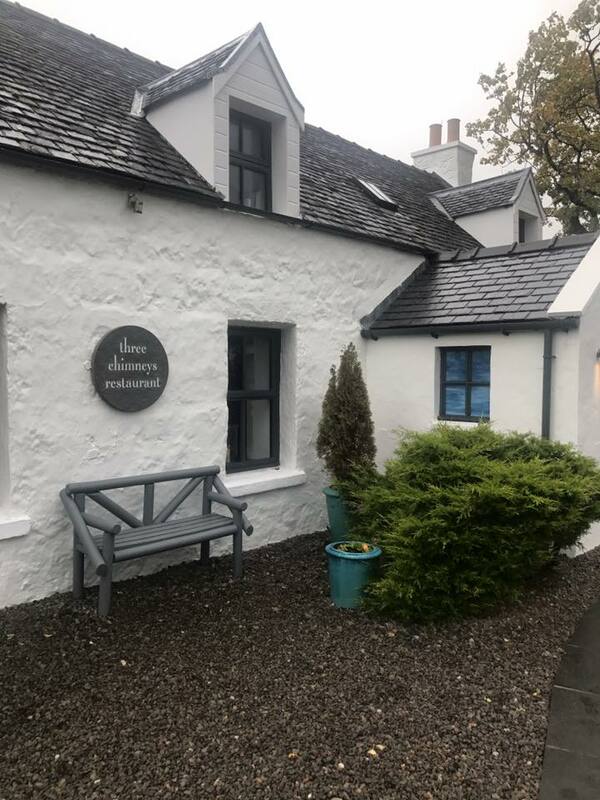 We chatted over coffee and cake in a yellow chocolate shop in Tobermory, then did more of the same at the magnificent Raasay House. On our last evening, we rounded off a fantastic (and filling!) 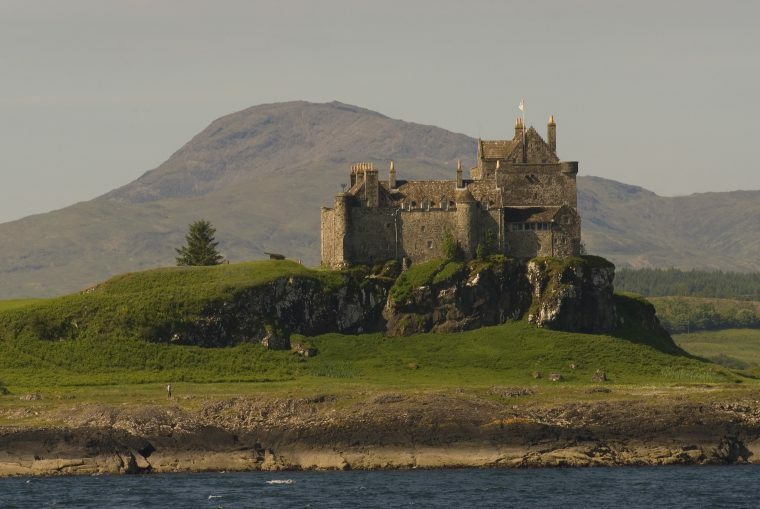 week with a champagne reception at Duart Castle, hosted by Sir Lachlan MacLean. Later, as a haggis was paraded around the dining room by kilt-clad Chief Purser David, Captain Heaton following up with a recital of Robert Burns’ ‘Address to a Haggis’ in his very best Scottish accent, I realised that this was just an average Monday night on Hebridean Princess. Until I had experienced Hebridean Island Cruises, the only thing I had in common with The Queen was a tendency to rarely carry cash. A week later, we shared a love of the same ship. As I made my way to the luxury coach for our scenic return transfer to Glasgow, I realised it wasn’t just Egon’s ‘calorie-free’ biscuits I would miss. 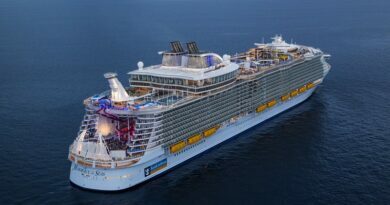 Harmony Of The Seas Has The Hype Been Fulfilled?